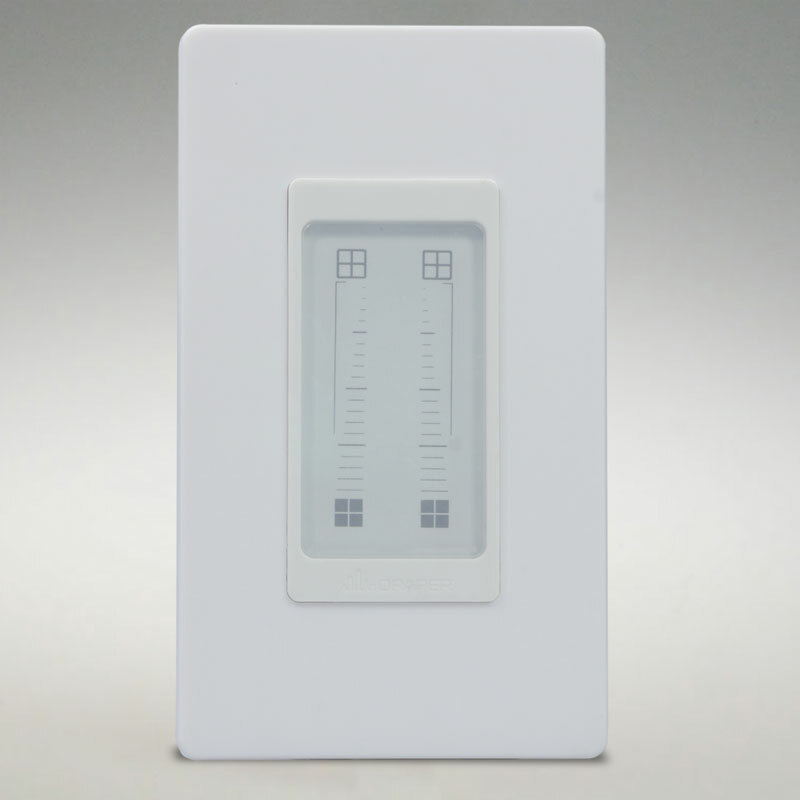 Dual Zone Wall Switch :: Draper, Inc.
Smart user input device, IntelliFlex® I/O Dual Zone Wall Switch can be customized to operate roller shades and Venetian blinds. Program to control two individual zones with a single touch. 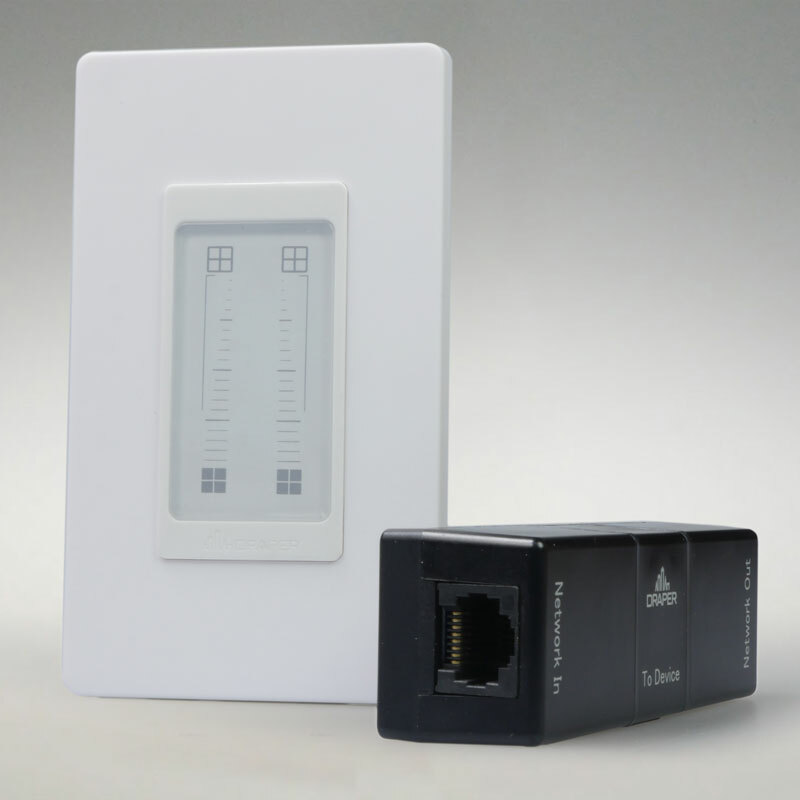 Zone can be configured to control any number of roller shade motors in an IntelliFlex I/O network. Configuration performed through onboard programming buttons without rewiring or external devices. Swipe gestures quickly move shades between preset stop positions. Power and communication provided through a single Ethernet cable. 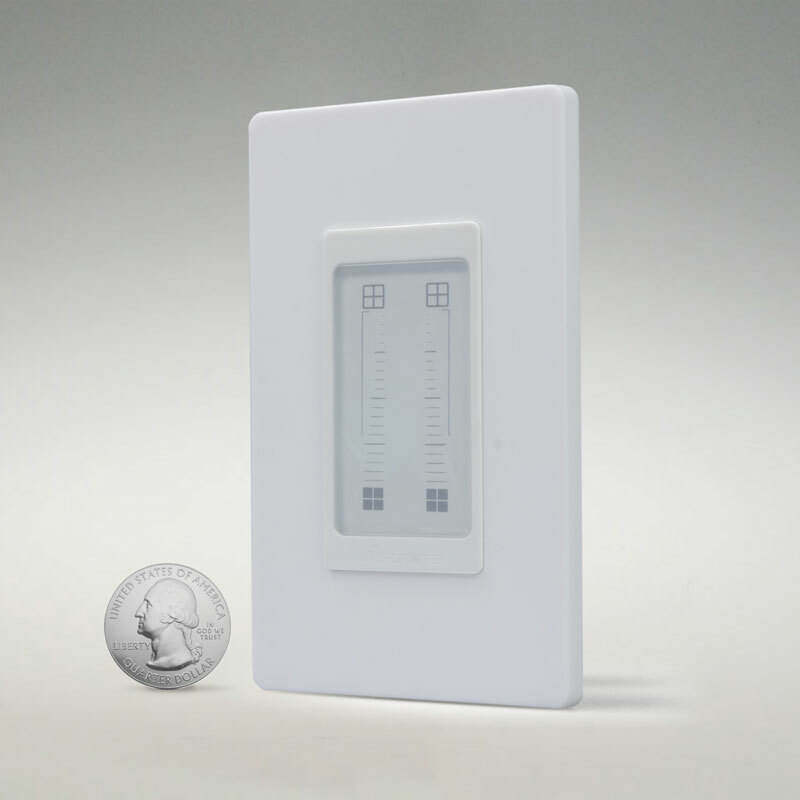 Integrated LEDs offer real time status for an easier user process experience. Draper’s online navigational tool offers a transparent step-by-step process to make ordering easier. Dimensions: 4-1/8” x 1-3/4” x 7/8” (105 mm x 45 mm x 22 mm). Standard Decora size and fits into any standard single gang box. Provides signal to third party system via the IntelliFlex I/O network. Can be used with any number of intermediate stops or no stops at all. Integrated LEDs provide system status to users.